Please read full listing description carefuly before you order to make sure the part does fit your car. - ROVER 75 MG ZT FRONT & REAR BRAKE PADS WARNING WEAR SENSOR LEADS NEW SET. It fits all MG6 models including the GT and Magnette. It isn’t a “genuine” MG part; however it is a like-for-like alternative to MG part number. Wear Lead / Sensor. REAR Brake pad. The photos show the actual wear lead you’ll receive. SWAG 22 91 7965, 22917965. As a corporation, TRW develop, design, manufacture and distribute almost everything that contributes to passenger safety in cars all over the world. MG SOM100030. MG MG ZT- T 190 Estate Petrol 10/2001 07/2005 FWD 24 190 140. MG6 models. 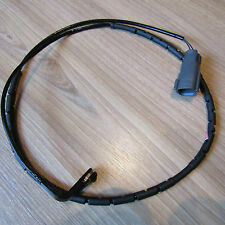 SENSOR FOR MG. New Genuine MG Motor UK Spare Parts. For best perfomance & reliability use Genuine MG Motor UK Parts. MG Part No. 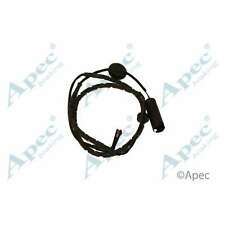 MG FRONT BRAKE PAD WEAR SENSOR LEAD APEC. MG ZT-T 01-05. THIS IS A NEW BRAKE PAD WEAR SENSOR LEAD. 1.8T 10/02-5/05. 2.0 CDTi 7/02-5/05. 2.5 160 BHP 7/01-5/05. 2.5 180 BHP 7/01-5/05. 2.5 190 BHP 7/01-5/05. MG Part No. MG6 (all models). 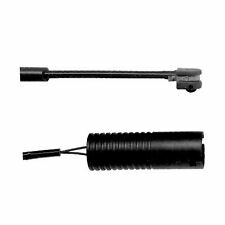 SENSOR FOR MG. New Genuine MG Motor UK Spare Parts. For best perfomance & reliability use Genuine MG Motor UK Parts. 1 x FRONT BRAKE PADS WIRE SENSOR 1 x REAR BRAKE PADS WIRE SENSOR APEC BRAKING PREMIUM QUALITY PARTS FITS: MG ZT ZTT ALL MODELS (PLEASE ALSO SEE COMPATIBILITY TABLE) PLEASE LEAVE VEHICLE REGISTRATION NUMBER AFTER PURCHASE TO AVOID ANY DELAYS IN THE DELIVERY PROCESS!. P/N: SOE100010. Rover Wear Sensor. Rover 75 MG ROVER ZT Frein Flexi tuyaux avant et arrière plus Pad Wear/Kit de montage. Rover 75 MG Rover ZT. 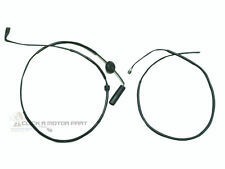 Brake Flexi Hoses Front & Rear plus Pad wear/fitting kit. 1 x FRONT BRAKE PADS WIRE SENSOR 1 x REAR BRAKE PADS WIRE SENSOR PREMIUM QUALITY PARTS FITS: ROVER 75 INC TOURER ALL MODELS (PLEASE ALSO SEE COMPATIBILITY TABLE). 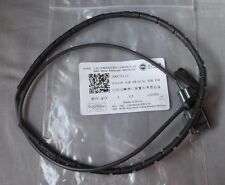 MG REAR BRAKE PAD WEAR SENSOR LEAD APEC. MG ZT-T 01-05. THIS IS A NEW BRAKE PAD WEAR SENSOR LEAD. 1.8T 10/02-5/05. 2.0 CDTi 7/02-5/05. 2.5 160 BHP 7/01-5/05. 2.5 180 BHP 7/01-5/05. 2.5 190 BHP 7/01-5/05. SWAG 22 91 7967, 22917967. As a corporation, TRW develop, design, manufacture and distribute almost everything that contributes to passenger safety in cars all over the world. MG SOE100010. MG MG ZT- T 190 Estate Petrol 10/2001 07/2005 FWD 24 190 140. ALL ROVER 75 MG ZT ZTT PETROL AND TD MODELS. 1 X NEW REAR BRAKE PAD WARNING WIRE INDICATOR. 1 X NEW FRONT BRAKE PAD WARNING WIRE INDICATOR WIRE. MG MG ZT- T Estate 2.5 Front Wheel Drive Petrol 10/2001->07/2005. MG MG ZT- T Estate 4.6 Rear Wheel Drive Petrol 10/2003->07/2005. MG MG ZT- T Estate 2.0 CDTi Front Wheel Drive Diesel 11/2002->07/2005. MG MG ZT- T Estate 4.6 Rear Wheel Drive Petrol 10/2003->07/2005. MG MG ZT- T Estate 2.0 CDTi Front Wheel Drive Diesel 11/2002->07/2005. MG MG ZT- T Estate 1.8 Front Wheel Drive Petrol 01/2003->07/2005. 1x Warnkontakt für die Hinterachse. Bremsenart: Scheibenbremse. BREMBO A 00 294. Rückgaben und kostenlose Rücksendelabels. Qualitätsprodukt - Markenware in Erstausrüsterqualität. Sofort-Kaufen Beobachten. SWAG 22 91 7967, 22917967. MG SOE100010. Brake Type Disc Brake. MG MG ZT- T 1.8 T 16V Estate Petrol 01/2003 07/2005 FWD 16 160 118. MG MG ZT- T 180 Estate Petrol 02/2004 10/2005 FWD 24 177 130. MG MG ZT- T 190 Estate Petrol 10/2001 07/2005 FWD 24 190 140. MG SOE100010. ROVER SOE100010. SWAG 22 91 7967, 22917967. As a corporation, TRW develop, design, manufacture and distribute almost everything that contributes to passenger safety in cars all over the world. 1x Warnkontakt 4x Bremsbelag für die Hinterachse. Autosessive * Delphi 2 AN DE GARANTIE! SWAG 22 91 7965, 22917965. As a corporation, TRW develop, design, manufacture and distribute almost everything that contributes to passenger safety in cars all over the world. MG SOM100030. MG MG ZT- T 180 Estate Petrol 02/2004 10/2005 FWD 24 177 130. EFA121 EBC devant porter conduire fit MG ROVER ZT ZT-T 75. Manufacturer Part Number EFA121. Après avoir vendu des centaines de milliers de kits de frein freins EBC se sentent confiants que leur approche est aussi parfait qu’il obtient. Bremsenart Scheibenbremse. MG MG ZT 1.8 T 16V. MG MG ZT 160. MG MG ZT 180. MG MG ZT 190. MG MG ZT 2.0 CDTi. MG MG ZT 260. ATE 24.8190-2802.2. MG SOM100030. We just want you and your car to be happy! We will always attempt to rectify the issue as fast as possible! Eg, Vetech, Erst Klassig, Franzen, NK, etc. Branches Nationwide. With this in mind, we will indicate what type of product you are looking at within the following guidelines. Contact d’avertissement, usure des plaquettes de frein pour essieu avant MG MG ZT · Détails de l’article : longueur [mm] : 715 Type de freinage: Frein à disque Nombre d'indicateurs d'usure: 1 . Contact d’avertissement, usure des plaquettes de frein pour essieu arrière MG MG ZT · Détails de l’article : longueur [mm] : 650 Type de freinage: Frein à disque Nombre d'indicateurs d'usure: 1 . SWAG 22 91 7965, 22917965. As a corporation, TRW develop, design, manufacture and distribute almost everything that contributes to passenger safety in cars all over the world. MG SOM100030. Brake Type Disc Brake. MG ZT 6 / 2002-9 / 2005 diesel : 2.0 CDTI 204D2. MG ZT 1 / 2001-7 / 2005 Essence : 1.8, 160, 180, 190, 260 18 K4F, 18 K4G, 25 K4F 99W. Plaquette de frein usure indicateur fil. Nous reprenons et n’ont une aucune politique d’ergoter. MG SOM100030. We just want you and your car to be happy! We will always attempt to rectify the issue as fast as possible! Eg, Vetech, Erst Klassig, Franzen, NK, etc. With this in mind, we will indicate what type of product you are looking at within the following guidelines. GALFER G1900057. MPN G1900057. MG MG ZT 1.8 T 16V 118 01.2003 - 07.2005. MG MG ZT 160 118 < span class = notranslate ' >-06.2001 < span class = notranslate ' > 07.2005. MG MG ZT 180 130 01.2003 - 07.2005. GALFER G1900058. MPN G1900058. MG SOM100030. MG MG ZT 1.8 T 16V 118 01.2003 - 07.2005. MG MG ZT 160 118 < span class = notranslate ' >-06.2001 < span class = notranslate ' > 07.2005. MG MG ZT 180 130 01.2003 - 07.2005. WARNKONTAKT, BREMSBELAGVERSCHLEISS für Hinterachse MG MG ZT | Artikeldetails: Länge [mm]: 650 Bremsenart: Scheibenbremse Anz.Verschleißanzeiger: 1 . MG MG ZT 1.8 16V Saloon Petrol 01/2003 07/2005 FWD 16 120 88. MG MG ZT 1.8 T 16V Saloon Petrol 01/2003 07/2005 FWD 16 160 118. MG MG ZT 160 Saloon Petrol 06/2001 07/2005 FWD 24 160 118. MG MG ZT 180 Saloon Petrol 02/2004 10/2005 FWD 24 177 130. WARNKONTAKT, BREMSBELAGVERSCHLEISS für Vorderachse MG MG ZT | Artikeldetails: Länge [mm]: 715 Bremsenart: Scheibenbremse Anz.Verschleißanzeiger: 1 . MPN GIC174. MG SOE100010. MG MG ZT-T 260 191 10.2003 - 07.2005. MG MG ZT 1.8 16V 88 01.2003 - 07.2005. MG MG ZT 1.8 T 16V 118 01.2003 - 07.2005. MG MG ZT 180 130 01.2003 - 07.2005. MG MG ZT 190 140 < span class = notranslate ' >-06.2001 < span class = notranslate ' > 07.2005. MG SOM100030. ROVER SOM100030. SWAG 22 91 7965, 22917965. As a corporation, TRW develop, design, manufacture and distribute almost everything that contributes to passenger safety in cars all over the world. MPN GIC173. MG SOM100030. MG MG ZT-T 180 130 01.2003 - 07.2005. MG MG ZT-T 190 140 < span class = notranslate ' >-10.2001 < span class = notranslate ' > 07.2005. MG MG ZT-T 2.0 CDTi 85 < span class = notranslate ' >-06.2002 < span class = notranslate ' > 07.2005.